A New York Times Book Review "100 Notable Books of the Year" selection; Publishers Weekly "Top 10 Poetry Book of the Year"; winner of the Pacific Northwest Booksellers Association Award for Poetry; and a National Book Critics Circle Award finalist. I feel the need for more humanitybecause the winter wren is not enough, even with its complicated music emanatingfrom the brambles. So I relent to my friend who keeps bugging me to see her shaman, tutored by the Indians who live at the base of Monte Albán. Tutored also by the heavy bagat Sonny's Gym: Box like heaven / Fight like hellhis T-shirt says; the graphic shows an angel's fist buried to the wrist in Satan's brisket, while the princeof dark jabs the angel's kisser . 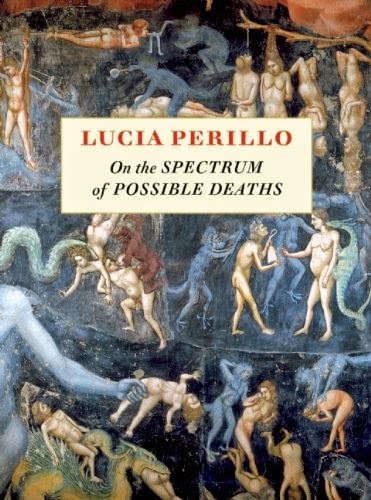 . .
Lucia Perillo grew up in the suburbs of New York City in the 1960s. She graduated from McGill University in Montreal, completed her MA in English at Syracuse University, and for most of the 1990s she taught in the creative writing program at Southern Illinois University. She currently resides in Olympia, Washington.